Elliott meets Mrs. Hufnagel's son, Alvin, and bids her a final farewell with a burial at sea. 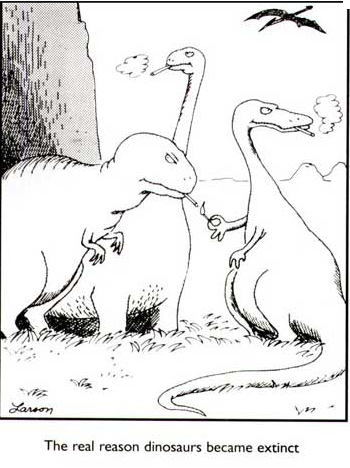 with some help from Gary Larson. At last, we've reached the final chapter in the saga of Mrs. Hufnagel (Florence Halop), St. Eligius's most memorable patient. 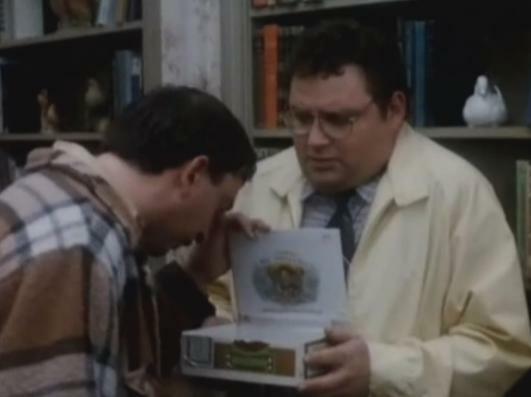 Dr. Elliott Axelrod (Stephen Furst), is a carrying the box that contains her ashes, which Dr. Wayne Fiscus (Howie Mandel) assumes contains cookies. After Elliott explains what the box is for, Wayne tries to convince Elliott that his obligation as a doctor ends when the patient dies, but Elliott feels bad for the medical mismanagement that led to her demise, and he feels that she deserves to have her burial wishes carried out with respect. Elliott intends to have a memorial service in the chapel and bury her at sea, to which Wayne responds by suggesting he just flush her down the toilet. 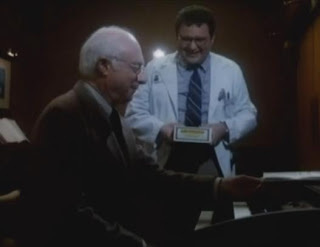 In the chapel, Elliott is having a solitary moment of remembrance for his departed patient when he is joined in the chapel by a despondent Dr. Daniel Auschlander (Norman Lloyd). Auschlander is mourning the death of his old friend, Dr. George Wyler, who was featured in a three-episode arc earlier in the season. Dr. Wyler was a Nobel-winning humanitarian who worked in Africa, but ran afoul of the government in his adopted homeland, and returned there knowing that the consequences would be dire. And lo, they were--he was greeted with a hail of machine-gun fire. During George's visit to St. Eligius, he and Daniel shared some meaningful moments while playing the chapel's organ, so it was a fitting place for Daniel to mourn his old friend. Elliott approaches, and can't but giggle at the Far Side comic in the newspaper sitting on the organ ("The real reason dinosaurs became extinct"), which brings a smile to both their faces. farewell before kicking his guests out of his new apartment. Wayne and Elliott then pay a visit to Mrs. Hufnagel's apartment, which Elliott has inherited. Wayne discovers a personally autographed photo of Bobby Orr, and Elliott explains that she was a season ticket holder to the Bruins; however, the seats have been left to Ernest Borgnine. 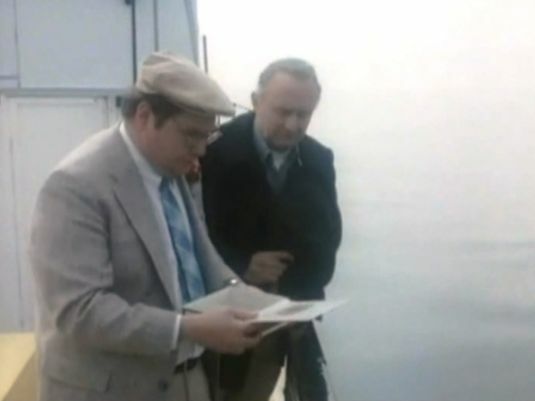 (Wayne feels that Fuji was the real star of McHale's Navy.) He finds a baseball glove that was given to her by Ted Williams, which tells Wayne he can keep. Elliott is planning on selling the stuff, or giving it away, with the exception of the gerbil, which has joined its owner in the great beyond. Then there's a knock on the door. It's Alvin Hufnagel (Boyd Bodwell), who immediately recognizes his glove in Wayne's hands. He gives Elliott a particularly dirty look. After playing with the dead gerbil, Alvin gets down to business. "You stole mother's affection," he accuses Elliott. Elliott tries to explain how they bonded over the death of Murray Robbin, but Alvin is convinced that he deliberately charmed the old woman with the intent of being included in her will. He's hurt that she didn't leave him anything, but he's a little too sensitive to hear Wayne's criticism about never having visited. When he calms down, Alvin has to admit that they didn't get along. Elliott tries to make Alvin feel better by giving him the computer, but the dejected son wants everything, which the good-hearted Dr. Axelrod concedes without a fight. He invites Alvin along for the burial, but he's not interested, and wishes her a terse, "Goodbye, Mother." Elliott delivers Mrs. Hufnagel to her final resting place. He pours out her ashes, and bids a final "Goodbye, Mrs. Hufnagel," before tossing the rose from his lapel in the water. There's one last bit of Hufnagel mythology left over. In the season six episode, "Night of the Living Bed", which aired three days before Halloween, 1987, Mrs. Hufnagel is believed by many at St. Eligius to be making her presence known once more. The room where she died seems to be haunted, its lights and TV flicking on and off on their own. Eventually, the bed starts shaking, the floor starts shaking, and the floor opens up and pulls the bed down with it. But it turns out not to be a haunting--the magnetism from the new MRI machine installed on the floor beneath was just too much for the old facility to handle. So that doesn't quite count as another appearance. As the Gluck family always said: "it is better to be despised than forgotten."